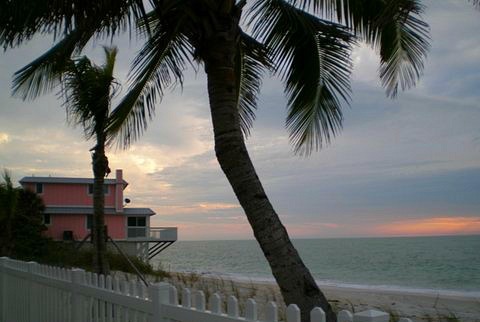 North Captiva - This Southwest Florida's remote island retreat is known for it's beautiful beaches and vacation homes ......... welcome to paradise! 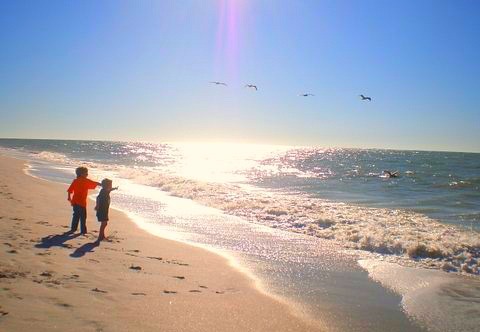 It's located in the Gulf of Mexico and is part of the chain of barrier islands that include Sanibel, Captiva, Cayo Costa, Useppa, Cabbage Key, Pine Island, and Ft Myers Beach. 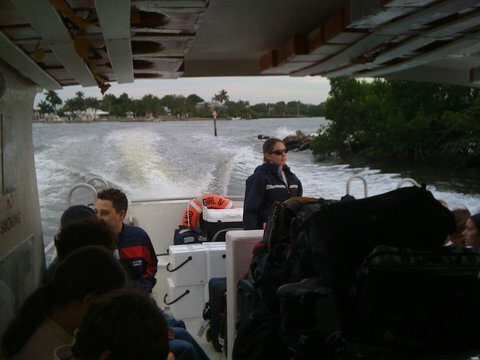 The only way to get there is by ferry, boat, or plane. 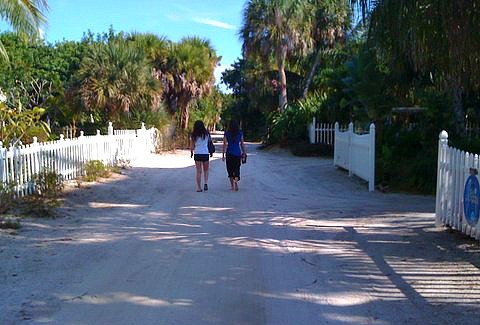 And, once you're on the island, the only way to get around is by bike or golf cart .......... it's so much fun! You will really appreciate the slower pace, pristine beaches, and peaceful solitude of the island. 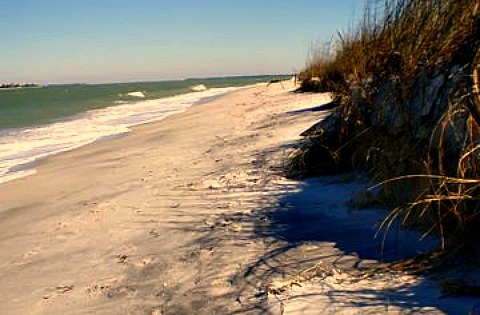 North Captiva, also called Upper Captiva, used to be part of the island of Captiva. It was separated by a hurricane in 1921 at what is now called Redfish Pass. 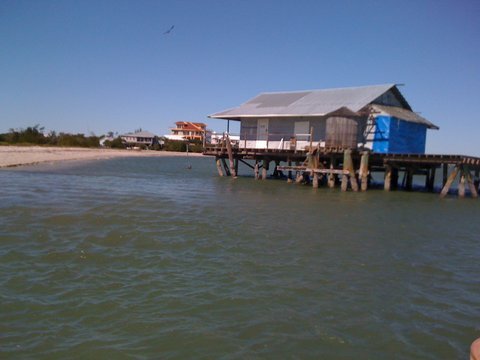 Since then, the island was cut in 2 by Hurricane Charley, but both ends have reattached. 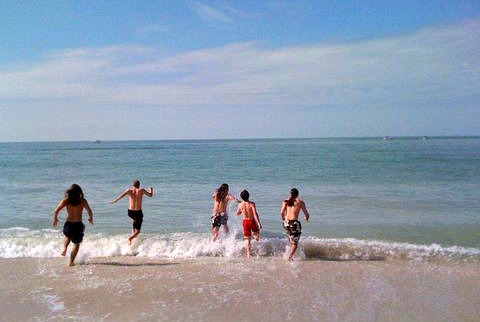 My whole family stayed on N. Captiva for a family vacation one year right after Christmas and we had a blast! Even though it was the last week of December and the weather turned a bit chilly, we still had lots of sun and temps in the 70's ........ warm enough to tan and take a quick dip in the gulf! 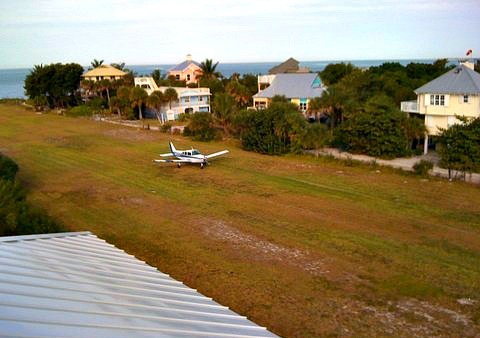 To get there, fly to Southwest Florida International Airport in Fort Myers. 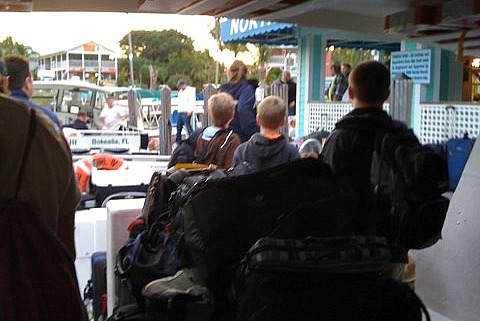 From there, or if you're driving to Florida, you'll need to get to Pineland Marina on Pine Island where you'll need to take the North Captiva Island ferry, The Island Girl. The ride over takes about 20-30 minutes and is pretty interesting, we saw some old fish houses on stilts in the water and even a houseboat. 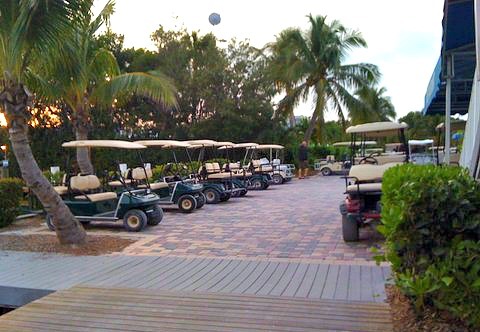 It takes you to the marina at the southern end of Safety Harbour where you unload luggage and groceries, check-in, pick up your golf cart, and head over to your rental. 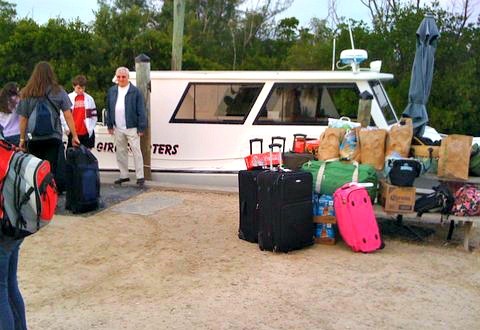 For more information on how to get to the island by boat taxi or private charter, go to Getting There. 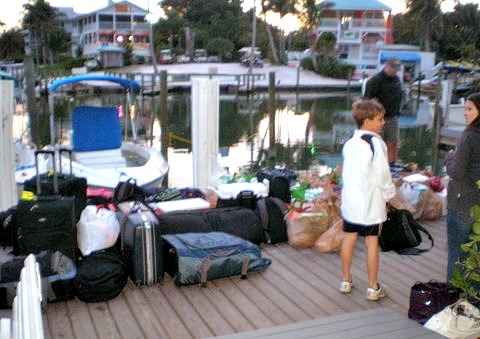 Since there were 16 of us, we had so many suitcases and bags of groceries that the Club loaded up all of our luggage on a cart and one of their porters drove it over as we followed in our golf carts. 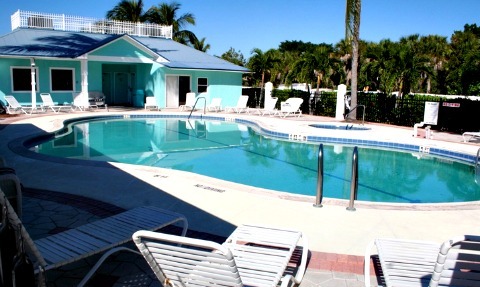 Most of the homes are part of the N. Captiva Island Club Resort. They manage and maintain the vacation properties. You'll most likely be dealing with them for your rental. 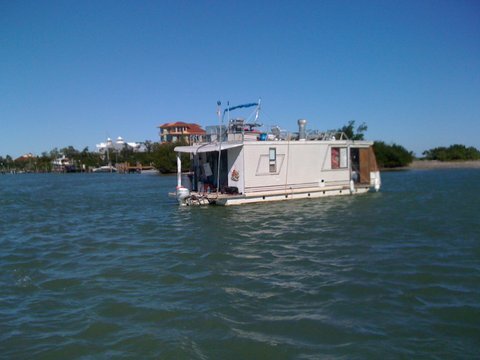 Other rentals are available through Barnacles Island Resort, where Barnacles Restaurant is located. Most of the southern half of the island is part of a State Park where you can walk on a path through the brush that leads to the beach. On the northern half, there are vacation homes, a small grocery store, boat and kayak rentals, a few restaurants, club pool and tennis courts, and an airstrip. Before all of that, the Calusa Indians inhabited the area until they were wiped out by Spanish conquistadors in the 1500's. 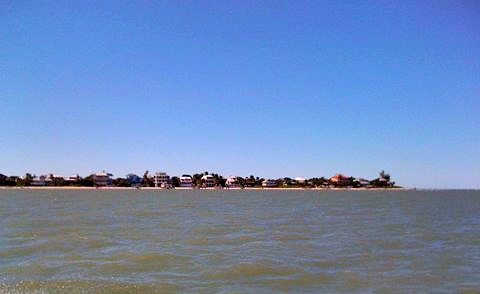 In the 1700's, pirates such Jose Gaspar, used N. Captiva as a place to repair ships and as legend has it ......... a place to imprison female captives. In the 1900's, N. Captiva was a tomato plantation, and later on, home to a fish processing plant. By the 1960's, there were about 10 homes ........ and in the 1970's, about 50 homes with room for about 4500 homes in all. But, in 1975 the State of Florida bought about half the island to preserve its natural beauty. At the present time there are about 50 year-round residents and 370+ homes with 30 new ones built each year ...... for a maximum total of 450 that can be built. 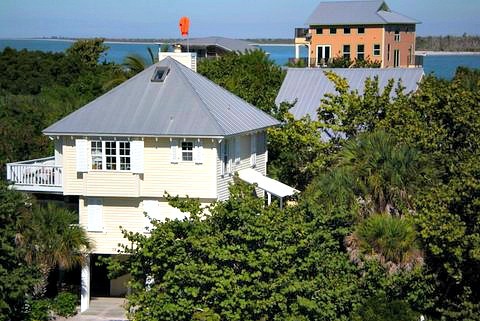 These fabulous homes dot the island's sandy lanes with plenty of lush tropical vegetation surrounding them. Go to my Map and Weather pages to help you plan your vacation!